Series of lectures on introduction to quantum information, Quantum Information Summer School held at the Habib University, Karachi 25-28 July 2016. Read the review: “Forget Schrodinger’s cat—students at Habib University take a quantum leap” here. Measurement and nonlocality in quantum mechanics, Department of Applied Physics, NED University of Engineering and Tchnology, Karachi, 27 July 2016. 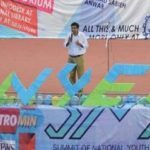 Interferometery: from nothing to black holes, NUST Science Society, 20 May 2016, Islamabad. Introduction to spintronics, Physics Department, Baha-ud-Din Zakariya University, Multan, 13 April 2016. Optical characterization of spintronic phenomena, International Conference on Solid State Physics, Punjab University, Lahore 13-17 December, 2015. Introduction to spin caloritronics, Conference on Engineering Materials and Processes, School of Chemical and Materials Engineering, NUST, Islamabad 22-23 December 2015. Setting up and running a modern physics instructional laboratory, National Workshop on Physics Education, National Centre for Physics, 15 November 2015. Physics entrepreneurship and design, Design Hackathon, Department of Art and Design, University of Gujrat, 23 April 2016. 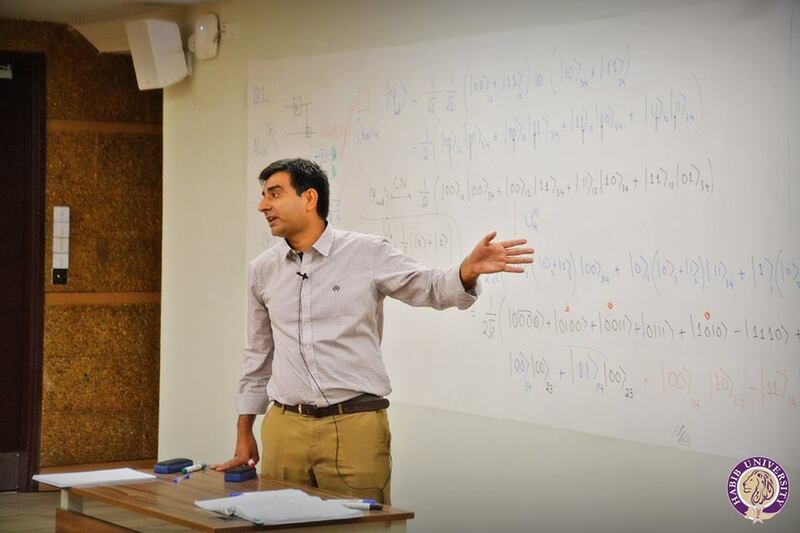 Magnetism and light, Optics Spring School at LUMS, 22-23 April 2016. New trends in laboratory teaching, Department of Physics, Karachi University, 29 February 2016. Magneto-optics at the nanoscale, International Symposium on Light and Life, COMSATS Islamabad, 14-16 October 2015. Here is a review published in the Nation on 19 October 2015. Magneto-optics meets nanoscience, Symposium on Nanomaterials Research, National Centre for Nanotechnology, PIEAS, Islamabad, 15-17 June 2015. Magneto-optical Kerr microscopy, Workshop on Contemporary Topics in Nanomagnetism, National Centre for Physics, Islamabad, 23-27 February 2015. Demonstrating Maxwell’s equations, Buraq Science Camp, Buraq Space Camp, Islamabad, 19-31 December 2014. 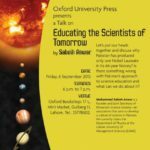 Educating the scientists of tomorrow, Oxford University Press, Lahore, 6 December 2013. Nanotechnology inspired biomedical magnetic resonance, 3rd International Symposium on Biomedical Materials: Recent Advances and Challenges, COMSATS IRCBM, Lahore, 18-20 December 2012.
eld magnetic resonance, 13th National Symposium on Frontiers in Physics, Peshawar University, Peshawar, 19-21 December 2012. Spectroscopic techniques for surface characterization, The 6th Vacuum and Surface Sciences Conference of Asia and Australia, Islamabad, 11 October 2012. MRI: ‘Spin’ on Spin, University of Management Technology (UMT), Lahore, 18 September 2012. Miniaturized, polarized and mobilized magnetic resonance, International Conference and Workshop on Nano Science and Technology, Quaid-e-Azam University, Islamabad, 1-5 October 2012. Freezing nuclear spins inside an oven: entanglement and NMR, Centre for Advanced Math and Physics, NUST, Islamabad, 23 April 2012.
c Research, National Academy of Young Scientists’ 2nd Annual Workshop, Punjab University, 7 January 2012. Developing Physics Laboratory for the Developing World, special session during International Conference on Nanomaterials and Nanoethics, 1-3 December 2011, COMSATS Institute of Information Technology, Lahore. field PHIP, Institute of Technical and Molecular Chemistry, RWTH Aachen, Germany, 10 August 2011. How NMR enriches quantum information processing, Keynote lecture at the National Symposium on Quantum Information Processing, COMSATS Islamabad, 9 April 2011. Spins take on the Heat: introduction to Spin Caloritronics, 12th National Symposium on Frontiers in Physics, Government College University, Lahore, 2-4 February 2011. Seeing Chemical Reactions with Spin, 9th National Symposium on Frontiers in Physics, Government College University, Lahore, 28-30 January 2009. Pure State Quantum Computing with Nuclear Spins, International School and Conference on Quantum Information, Institute of Physics, Bhubaneswar, India, 9-12 March 2008. 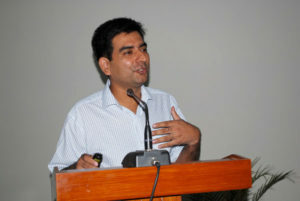 Para-hydrogen: Opportunities in Hyperpolarized NMR and MRI, Indian Institute of Science (IISc), Bangalore, India, 17 March 2008. Nanoparticle MRI, One-day Nanobiotechnology Seminar, NIBGE (National Institute of Biotechnology and Genetic Engineering), Faisalabad, 10 September 2007. Entanglement in Liquid State Quantum Information Processors, 2nd International Symposium on Quantum Optics, Centre for Quantum Physics, COMSATS and National Centre for Physics, Islamabad, August 7-9, 2007. Magnetic Resonance: From Brain Tissue to Chloroform Computers, Institute of Biochemistry and Biotechnology, University of the Punjab, Lahore, 9 May, 2007. Quantum computing with nanostructures, International Conference on Electrical Engineering, Department of Electrical Engineering, University of Engineering and Technology, Lahore, April 2007. Quantum computing and nanotechnology, International Conference on Nanotechnology, COMSATS and National Commission for Nanotechnology, March 2005. How NMR enriches quantum information processing, Physics Department, Quaid-e-Azam University, Islamabad, 2005. 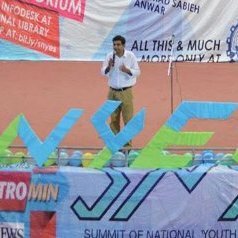 Entanglement and NMR, 10th National Symposium on Frontiers in Physics, Pakistan Physical Society and Government College University, Lahore, Pakistan, 2005. Frozen Qubits at Room Temperature, Physics Department, COMSATS, Islamabad, 10 Jan, 2005. 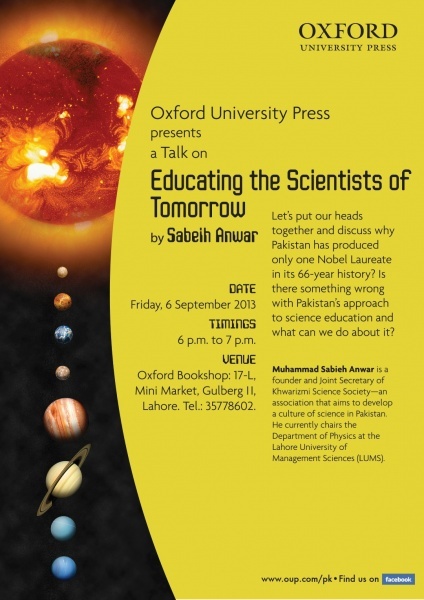 Quantum Computing: Thinking Atoms, FAST-National University of Computer and Emerging Sciences, Lahore, 9 Oct, 2004. Quantum computing with pure states derived from para-hydrogen, Department of Chemistry, University of California at Berkeley, Berkeley, California, US, 3 Jun, 2004. Preparing pure initial states using para-hydrogen, Fourth Canadian Summer School on Quantum Information, University of Waterloo, Canada, 20-25 Jun, 2004. Ensemble quantum computing, 9th National Symposium on Frontiers in Physics, Pakistan Physical Society and Government College University, Lahore, Pakistan, 2003. Information processing: The quantum way forward?, The IEE and British Computer Society, Bristol, UK, 1 Mar, 2004. Quantum information processing using para-hydrogen, Informal Quantum Information Gathering , Imperial College, London, UK, 19-22 Sep, 2002. Making atoms think, Pakistan Institute of Physics, Centre for High Energy Physics, Punjab University, Lahore, Pakistan, 2002. Introduction to Computer Interfacing, National Workshop on Computer Interfacing, organized by the Khwarizmi Science Society , Centre for Solid State Physics, Punjab University, Lahore, Pakistan, 15 Sep, 2001.
cation theory, mathematical programming at the University of Engineering and Technology, Lahore; Edge Systems Pvt. Ltd. and the Centre for Solid State Physics, Punjab University, Lahore, Pakistan, 2001-03.